Organize and Track Test Cases QA Complete gives you the capability to organise and track your test effort across the test lifecycle. Organise tests by folders, key words, custom fields or even test types. In turn this delivers the insight you need to see exactly how your test efforts are progressing. Integrate with different Automation Tools Unite your automated and manual test efforts by driving your automated tests directly from QA Complete. With integrators to tools like QTP and Test Complete you can schedule the execution of your test runs from a central location and report on aggregated test results across the whole test process. Track Requirements Test Coverage Link test cases to requirements and requirements to test cases. Bi-directional tracability gives you visibility of your test process like you've never seen before. Link this into defect tracking too and you get even smarter traceability with tri-directional views of your test process. Integration with other tools QA Complete integrates with a range of other development and test tools so that you plug QA Complete into your existing setup without duplicating data and without having to force other team members to switch tools. Integrate with Jira, Rational, Bugzilla, Rally and many other tools. Comprehensive and Customizable Reporting Delivered with a comprehensive set of reports and dashboards to cover even the most demanding needs of the test team. Supplemented with the ability to create your own dashboards and reports which could for example key into many custom fields and work flows you setup within QA Complete. QA Complete gives the test team a single application for managing test cases, test environments, automated tests, defects and testing project tasks. QA Complete is the all-encompassing solution, providing visibility of your test management process and ensuring the delivery of high quality software. QA Complete allows you to manage your manual test cases and control your automated tests, giving you one place from which to coordinate all of your testing. Learn more about managing your test process with QA Complete by watching the recorded demo. Test Case Management : Create test case suites to cover regression, smoke tests and standard release tests. 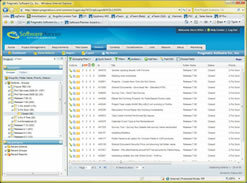 Folder structure allows organisation by release or feature. Simple test case structuring also allows for focused metrics and clear status reports. Test Environment Management : Using List Manager track all test environments and configuration. Link environments to individual test cases to see how effective test coverage is across different platforms, operating systems and devices. Defect and Issue Management : Track status and resolution progress of defects and issues for each release. Features, such as automatically creating defects on failed test cases, helps reduce time spent entering data and increase testers time spent running the tests. Test Automation Integration : Integrators with test automation tools like QTP and Test Complete allow you to track and report on the whole test management effort in one place. With the ability to co-ordinate both manual and automated tests you get the test data you need to make release decision with ease. Bug Tracker Integration : Integrators with Jira, Bugzilla and other web based defect tracking tools allow you to tie together your test effort in QA Complete with existing defect tracking tools implemented within your organisation. Test Project Management : Ensure that all test project tasks are tracked and monitored from writing the test plan to making the release decision. Variances can be tracked to help improve estimating and planning for future releases. Shared Documents : Avoid the usual mess associated with storing test artifacts on different servers, in different directories and in different physical locations. 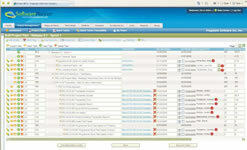 Store all test documents in one central location to improve collaboration and communication within the test department. Requirements Management : Define requirements for each release and track the release each requirement is scheduled for. Workflow configuration allows tracking through user definable statuses. 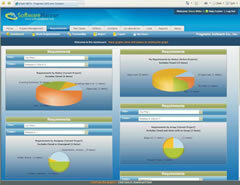 Integrated linking with test cases delivers clear requirements test coverage reports. QA Complete delivers Test Case Management and Defect Management along with many other improvements to your software testing process. Coupled with collaborative tools like document sharing, team calendars and interactive dashboards, teams begin to communicate more effectively and begin delivering solutions in less time with higher quality levels. 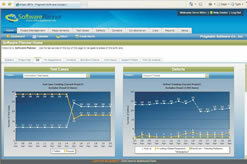 Traq Software provides training and education for users of QA Complete. We apply our in-depth experience and best practice know-how to provide clear, concise training to help your team get the most out of QA Complete. features in common. QA Complete provides a number of collaborative features not offered by HP Quality Center, is less costly and has easy cross-project reporting and an extensive array of dashboards. Ready to find out why QA Complete delivers the best price/performance combination of any software quality tool on the market? Sign up for a 30 day trial and let us show you how much easier it is to manage your test projects with QA Complete. The On-demand SaaS license model is subscription-based where the costs for each year are the same as the first year. There is a one-time set-up fee for all new SaaS environments. The Enterprise license model is perpetual-based where the installation and first year maintenance is included in the first year costs. The second and subsequent years require an annual charge (for maintenance and support) which costs 20% of the initial license fees. Complete Test Management Control and track your test cases across the whole test lifecycle. Delivering all the features you need to manage your process effectively. 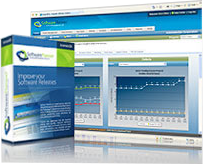 Sign up for a 30 day free test management trial.